Floral Cards | Happiness Blooms Memories Card Pack | Stampin' Up! This kit makes memory keeping a snap. 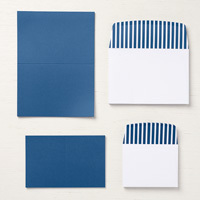 Just adhere to a card front from the Happiness Blooms Memories & More Cards & Envelopes for instant cards.